The Art of the Sonnet, an innovative and intelligent new anthology edited by the poet and critic Stephen Burt, recently tenured as professor of English at Harvard, and David Mikics, professor of English at the University of Houston, is designed to showcase the sonnet’s surprising endurance. Of the 100 sonnets in the anthology, 17 were published since 1990, while the sixteenth century--usually considered the golden age of the sonnet sequence--is represented by just eight selections. If you are looking for a book that will give you all the best sonnets ever written in English, this imbalance might be unsettling. But the editors explain in their preface that “we do not mean to claim equal stature for every one” of the poems in the book, and “we have also left out some sonnets that stand...among the finest in the language.” Burt and Mikics argue, quite reasonably, that the most famous sonnets in English have been anthologized endlessly--they cite three major sonnet anthologies published just in the last decade. 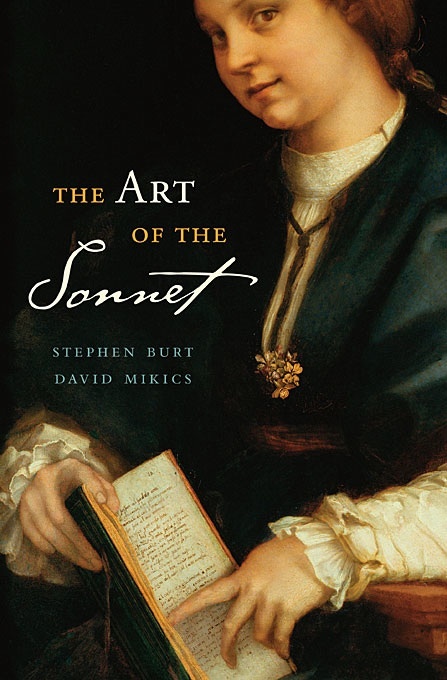 The goal of The Art of the Sonnet, rather, is to “show what the sonnet has meant” to writers of English over the last six hundred years, “and how it has changed.” To this end, each poem in the book is accompanied by a short essay, in which the editors offer useful historical background and insightful critical remarks. This poem has 14 lines--does that make it a sonnet? Burt and Mikics convince us that the answer is yes, in part because of the subject of Moore’s poem: the difference between the real swan and the artificial one, which is the difference between nature and art, and between the present and the past. Read in the context of this anthology, Moore’s poem seems to ask if the sonnet isn’t as courtly and antique as Louis XV’s chintz china bird. If the king is dead, and the swan so unmistakably obsolete--a fact ironically underscored by Moore’s choice of the flower name “everlastings”--why hasn’t the sonnet joined them? Forever; and the sun goes up between. An order keeps the falling stones abreast. A river like a curl of light is seen. The great wind kill my little shell with sound. All poetry can be seen as a conversation between poets over time. In The Art of the Sonnet, the little room of the sonnet serves as an echo chamber and amplifier, allowing us to hear those voices--great and small, living and dead--more clearly than ever. Adam Kirsch ’97 is a senior editor at the New Republic and a columnist for the online magazine Tablet. His most recent collection of poems is Invasions (Ivan R. Dee).